Fred Dom is a Co-founder of HiFiBiO Inc. and he now serves as the HiFiBiO Therapeutics Chief Financial Officer and Director of French Operations. Mr. Dom is a serial entrepreneur with expertise in private capital investment and operations. Previously, he was CEO of FlexGen (Leiden, the Netherlands) where he spearheaded a commercialization strategy resulting in a successful financing and launch of new, revenue-generating products. Prior to FlexGen, Mr. Dom was CEO and Co-founder of RSP Technology BV, a world-leading supplier of aluminum superalloys to the defense, automotive, aerospace, and electronics industries based on a proprietary process exclusively licensed from Delft University. Mr. Dom began his career at Rijnvelden BV, focusing on investment in early-stage technology companies. 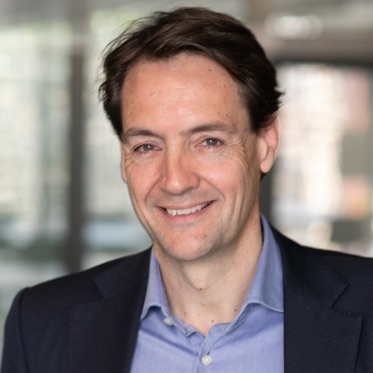 He chairs the Dutch grant advisory committee to the Ministry of Economic Affairs in the field of innovation and entrepreneurship (total budget € 80 million) and he is a member of the “Regiegroep”—14 industrial and academic thought leaders in Dutch Life Science industry. This high-profile group is appointed by the Minister of Economic Affairs, to develop a new industry vision and recommend new policies to support the Dutch Life Science & Health industry (Topsectorplan). Mr. Dom holds a BSc and MSc from Erasmus University.